Free wi-fi is coming to a number of popular parks in New York City and the Hudson Valley this summer, the state parks department has announced. 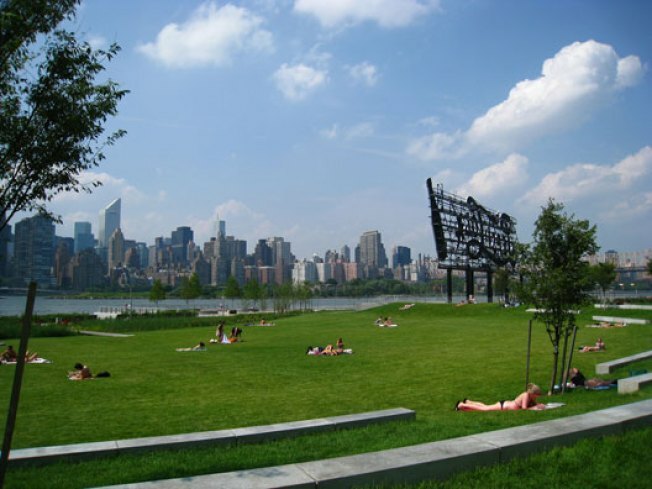 Gantry Plaza, on the Long Island City waterfront in Queens; Roberto Clemente Park in the Bronx; Bear Mountain State Park in the Hudson Valley; and additional locations at Niagara Falls State Park in western New York are all getting connected for wi-fi for the public. Free public wi-fi is already installed at Jones Beach, Robert Moses, Niagara Falls, Saratoga Spa and East River state parks. The service, called "Oh, Ranger! Wi-Fi," is part of a public-private partnership with Toyota. All equipment, installation, programming, monitoring and maintenance are being provided at no cost to taxpayers. Visitors at participating parks can access free wi-fi by slecting the "Oh, Ranger! Wi-Fi" network. The expanded wi-fi complements other developments in the parks, including the picnic area at Roberto Clemente, the Cave of the Winds complex at Niagara Falls, and a new ferry stop at Gantry Plaza State Park.